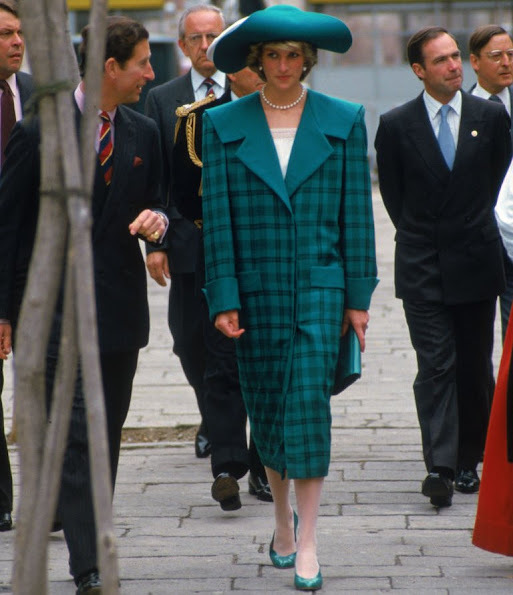 2017 is the 20th anniversary of death of Princess Diana of Wales and in the memory of Princess Diana, "Diana: Her Fashion Story" exhibition will open to the public at Piggott Gallery of Kensington Palace on February 24, 2017. 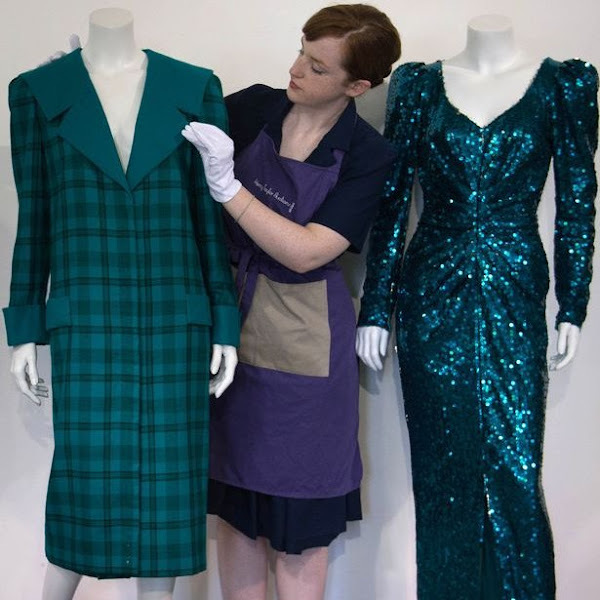 Among the dresses to be exhibited, there is a night blue velvet Victor Edelstein evening gown worn by Princess Diana for a dinner at Whitehouse in 1985 and a blue tartan suit designed by Emanuel worn by the Princess during a visit to Italy in 1985. I would love to see that exhibition! But I do not live in UK. Thanks a lot, Ms. Electra, for this posting. Do you have some more pictures...? Coralie the Daily Mail has an article about this with a few more pics and close ups. 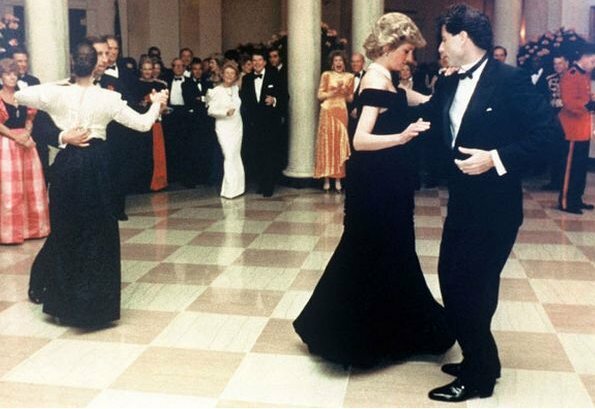 Black dress was perfect for Princess Diana, for her height and her slim figure.She looked beautiful in that dress. It is dark blue not black, but it is beauty anyway. The green hat and plaid coat, so awful. I agree such a ghastly outfit. Not sure I liked it when she wore it so long ago. She had some hits and misses and this was a mess. Green ensamble was so 80´. Takes me back to think my own barn broad shoulder bads. That was a time! 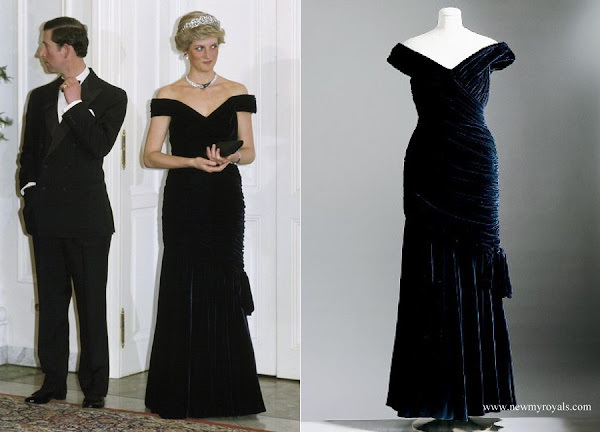 Dark blue evening gown is so very beautiful and one of the most iconic Diana-clothes ever. 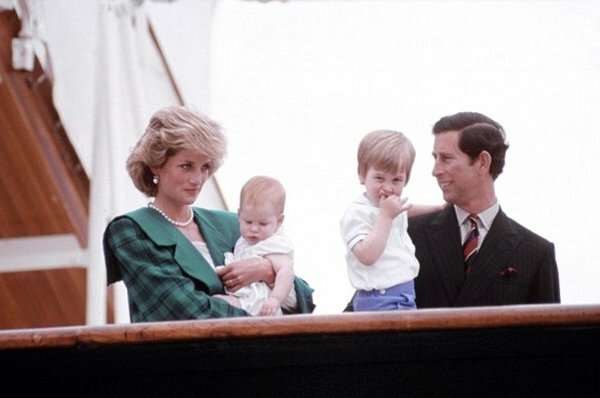 I must say that I really miss Lady Diana.The world will never have a royal Lady like her,beauty and karisma and a big heart for the poor people.Female royalties today try very hard to dress well and looking good,but it is far away from what Diana gave us all.As I sad....I miss her. It was Diana that got me following the royal families. It is still sometimes difficult to know she is gone. 20 yrs in 2017. How is that possible. So much she has missed. I think she watches though. She would be proud of her boys and her grandchildren. Sadly she came into full bloom just before she passed away. 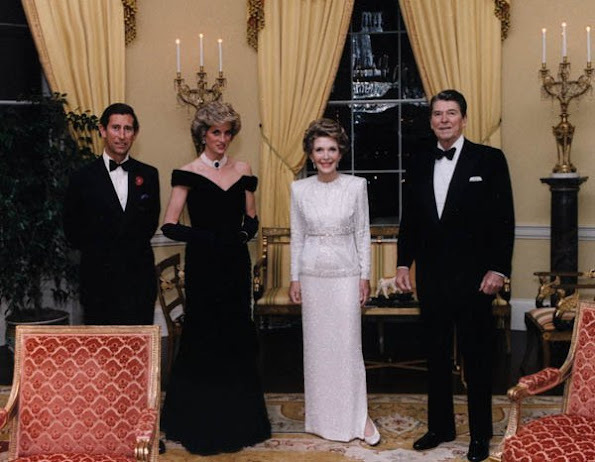 In my opinion that is when she was at her fashionable best, although there are honourable mentions throughout the preceding years, such as the gown above. She was really beautiful and had as you said blossomed away from the constraints of the marriage woes. 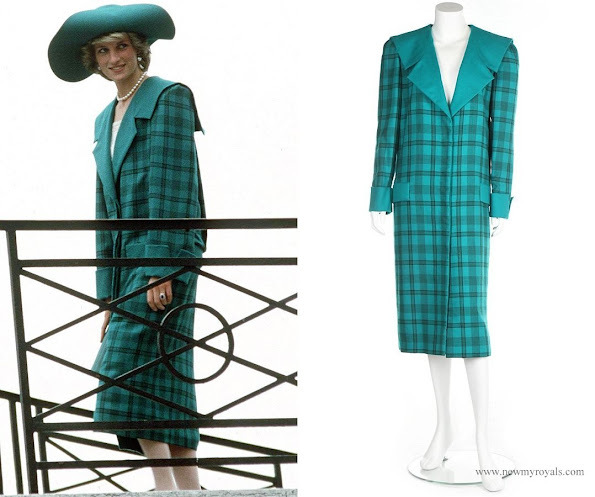 She was so fashion forward. Spicing it up and elegant at the same time. She had big hits earlier but at 36 she was fabulous.